Listening Nonato Luiz is a rare pleasure; edit him, is a privilege. If the simplicity was not invented by Mario Quintana, Nonato for sure would do. This world citizen, who conserves the curiosity of a student, have a great familiarity with the guitar and, playing, lead us to a serious mistake: to believe that anyone is able to do what he masterly do. But it doesn’t say everything: Nonato is not just a virtuoso , he is a composer with great talent. His compositions, like Joao Pedro Borges says, revels the conscience of a person who knows all the fundamentals of a musician and the language of the instrument that he plays so well. Simplicity and charisma in his veins. So, it’s a real pleasure give to the lovers of good music this dez choros that proves the vitality of the brazilian instrumental music and reaffirm the geniality of this extraordinary guitar player. 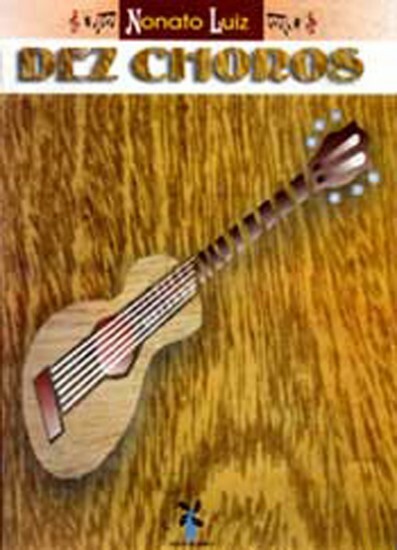 All songs are written by Nonato Luiz and are on the CD "The CRY OF WOOD" released by CPCUMES (SP) in 1999.